If we deny the magical elements of Cinderella then what would be the reality? For a long time, I am thinking of writing about the reality of fairytales. In other words, I want to describe the fact that if there were no magical facts in Cinderella then how the story took place. From many feminists from different times, we have come to know that women are always brought up listening and having a thought of her marriage or this is the only fantasy that women can think of. I remember when I was a kid my parents also told me the story of a prince charming who would come in a horse and take me away with him, and then we would live happily ever after. It’s really a sadness that I also have grown up dreaming of a prince charming. Whenever my mom scolds me, I just thought of a Prince charming whom I would marry when grew up then he should buy me lots of chocolates and chips. Funny, huh…! Anyways, I am going to describe the fact that if we eliminate the magical phenomenon from Cinderella then what will be their actual scenario. Even the Disney version is far more different from the Grimms’ one. According to Buhu Ray(2015), the article was published in India Today Newspaper, even there is an evidence that Cinderella’s story was inspired by a Greek woman called Rhodopis(meaning Rosy Cheeks). She was sold in Egypt as a slave around 500BC. She was so beautiful that she was gifted golden shoes by her master. Even, one of the Pharaohs wanted to make her his queen as she was so beautiful. Since she didn’t belong to a royal family, she was merely used as ornamentation and to please the pharaohs. (Ray, 2015) From this story, it’s very much clear that the real story, the Disney version, and the Grimms’ one – these three are quite difficult to be matched with each other. But if the Cinderella were a real person, then there should be some questions to think of. If the Grimms’ brother had written down a real incident by listening from her or another elderly person who considered as the oldest person in the village and people really admire his experience of life, then there are some points to think of. People always want to tell stories in their own ways. The storyteller always wants to attract their listeners or readers in many ways they can cope with. 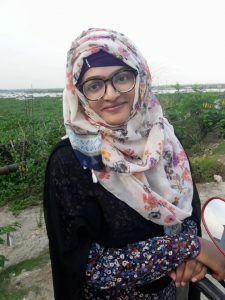 Like there is a fairytale in Bangla Literature, in which once there was a king whose wife had given birth a baby boy who was really black in skin complexion. So the villagers were talking about it, and after talking 3 or 4 times about the boy’s complexion, there was a rumor that the queen actually gave birth to a crow! So things are changed by the people and their ways of presentation. In Grimms’ Fairytale of Cinderella, we find that the prince was totally unknown to the lady that he was dancing within the Ball. He didn’t even know her name. He only had her one pair of shoes. And he decided that he would marry the lady whose leg would fit into this shoe. Come on! Is this a logical one to deal with an important decision like marriage? Anyways, again we see that Cinderella’s stepmom ordered her daughters to cut their heels so that they could fit into that shoe, it means that women of that time were very much desperate to marry a Prince as well as a wealthy person. Then, again, the prince would never know the truth if the birds told him that who was the real Cinderella. Then how could we claim that the lady(Cinderella) whom we call the real lady who actually danced with the price wearing a beautiful dress was Cinderella? It is okay that the shoe fitted into her leg but there are many more people who used to wear the same size shoes and that’s why, in this 21st century, the shoe companies are making a lot of shoes of the same sizes. In the past, if we go logically, then it’s certain that there should a plenty of people who used to wear the shoes of the same sizes. 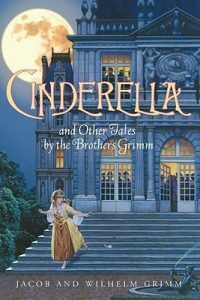 And, now, if we believe in reality and deny the magical acts from the Cinderella story, we find that it’s impossible for Cinderella to attend the Ball Dancing without the help of her fairy Godmother. Then what had happened on that Ball dance? Who had come and dance with the Prince? I think, in the past old days, there was no CCTV cameras, no Mobile Phones, No DSLR Cameras, above all nothing such elements to capture the lady who danced with the price. The distance communication level of people was also very poor as there was only letter-sending process was available and which requires a minimum of five to ten days to deliver the messages. I think on that Ball dance there came another lady who danced with the prince. Maybe the lady or Princess who danced with the prince was in a hurry that she forgot to tell her name as well as her address that the Prince could find her. Then the Prince had made a dumb logical effort to find her with her one single shoe, then the Prince and his soldiers find Cinderella in the Rooftop( Actually her stepmom tries to hide her from the Prince). Then the shoe also fitted into her leg. And, not surprisingly, the Prince never asked her that she was the lady or not who had come to dance with him yesterday. At that time, People never used to ask anything to women. They didn’t value anything about women at all. In this kinds of society, how we can expect that the Prince would ask her about her opinion on the fitted shoe on her leg. Even, if the birds were not present there, then the Prince would never come to know- who is the real Cinderella? Is it logical to believe in the birds’ chirping to examine the reality? The prince never asked Cinderella that did she really want The Prince as her husband or not? In Bangladesh, I have seen a lot of families who are desperate to get their daughters married into wealthy families. They never examine the characteristics or morality of the family as well as the guy whom they are sending their daughter as a Bride. Even, they can do anything to capture a wealthy man. They even can depend on wrong ways such as telling lies to get the rich man as their Son –in law. These families and their daughters are highly influenced by these magical Fairytales as they just want a Prince-like guy for the whole lifetime. Nowadays, there are a lot of domestic violence news are roaming around us. These incidents are the result of valuing the money not the person. Before marriage, the families are very happy to get a rich man as their Son in law but after their daughter’s death, they saw the reality. Dreaming about a life partner is not bad, but Dreaming about the Prince Charming as a life partner is bad. Not all the charming princes are good human beings. We should teach our girls to build their own future, not upgrading her future by marriage but by excelling in their careers. The writer is currently pursuing MA in English Literature from North South University.